This year the Hilulah of the Rebbe Rashab, founder of Yeshivas Tomchei Tmimin, on Beis Nissan was marked in its Monsey branch by special festivities. 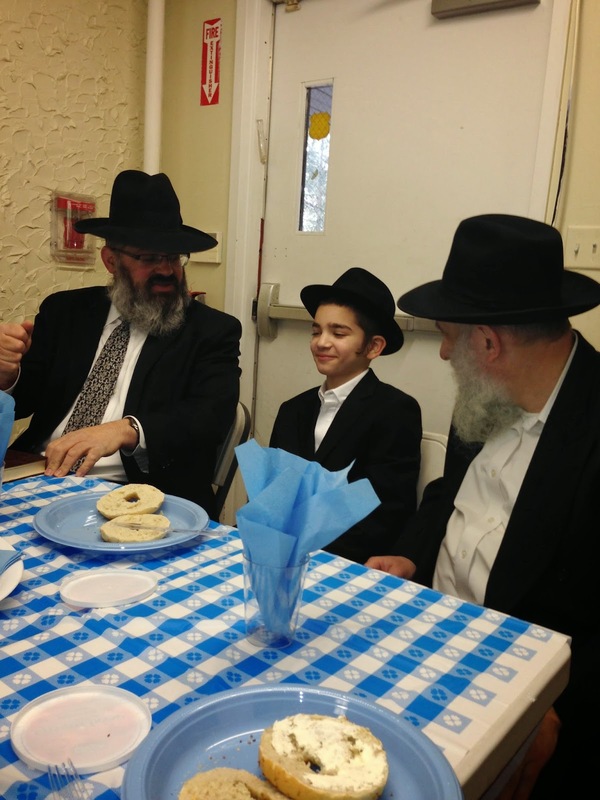 A breakfast and farbrengen were celebrated at Mesivta Lubavitch of Monsey in honor of the Honochos Tefilin of Avrumy Leitner, sponsored by his parents and long-time Monsey Chabad residents, Refoel and Malkie Leitner. Before the davening, Rabbi Leitner discussed the various approaches to the kesher of the tefilah shel yad for a lefty, identifying the prevailing Lubavitcher custom. Rabbi Mendy Landa, Menahel of the Mesivta, led the morning davening with a tangible fervor reflective of the intensity of the red letter day. 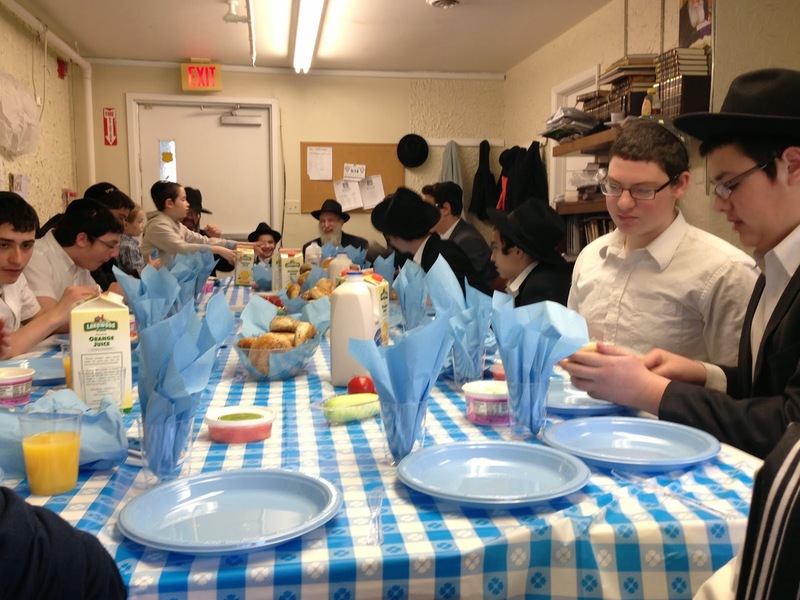 After davening, the Beis HaMedrash was setup for the breakfast and farbrengen. 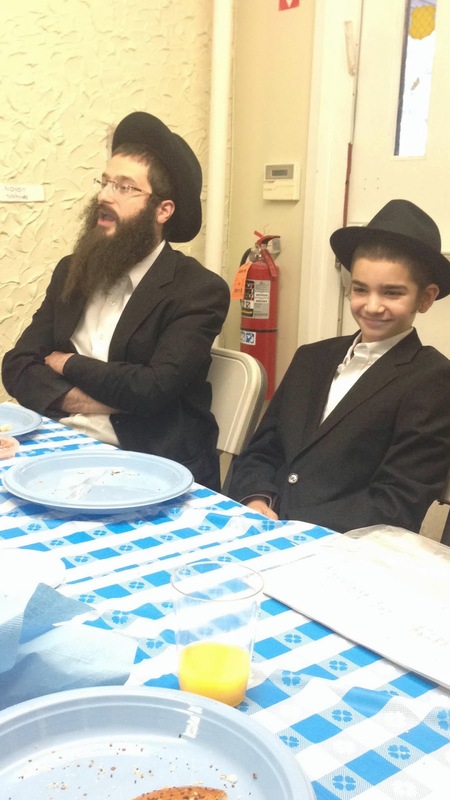 The gala was graced by the attendance of Rabbi Ari Jacobson, Mara D’Asra of Young Israel of Monsey and Wesley Hills which hosts the Mesvita, who inspired the assemblage by recounting the story of Tefilin Sheh-B’Rosh. Rabbi Jacobson went on to quote the Alter Rebbe’s Shulchan Aruch concerning the Chabad shita in Hesech HaDaas from which he extracted a potent lesson that this halacha implies. 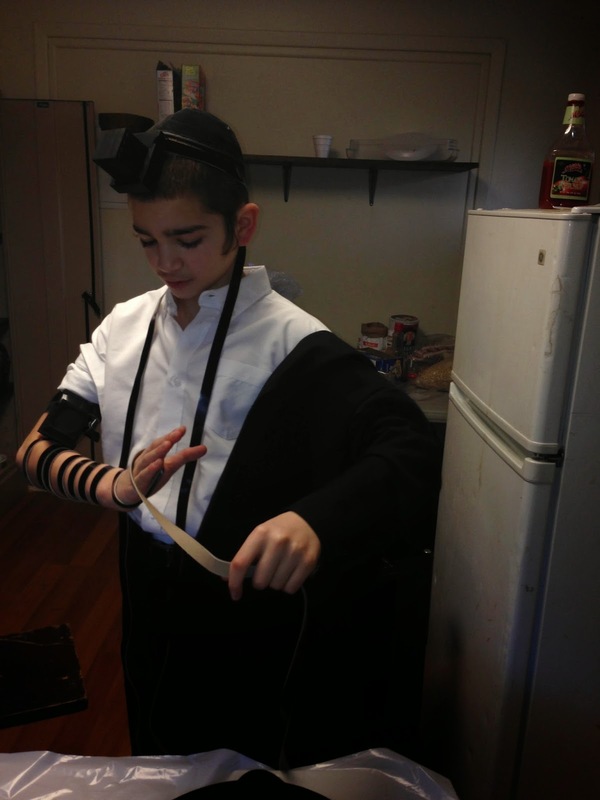 Following the hochonoh niggun, Avrumy recited the first chapter of the maamar Issa B’Midrash Tilim in Yiddish, demonstrating a clear understanding of the subject matter. After the maamar, Rabbi Landa eloquently explained the connection between Honochos Tefilin, the Nasi of the Day for Beis Nissan, and the Baal HaHilulah of Beis Nissan. From this, he derived an instructive message for everyone present to take with them and work on. An abundance of good food and drink served to augment the joyous spirit of the occasion. The entire program of thought provoking ideas made a noticeable impact on the participants towards a personal change for the better. It seems the morning’s proceedings struck a positive chord with the tomimim of the Mesivta as they witnessed the induction of a new tomim in the context of a meaningful and tasty event.